During my first quarter as chair of ESS, inevitably I have been involved with understanding the status of our department in terms of statistics: budgets, student enrollments, graduation rates, research grant support, and many other measures. One’s head swims with tables, targets and trends. But working on this department newsletter reminds me that aggregating numbers is only an indirect reflection of how well we accomplish our real mission: transforming the lives of individual students through a world-class education and unique opportunities, and the discovery of knowledge that enhances people’s lives, whether through the pursuit of curiosity-driven research or applied research. In this newsletter you will find numerous examples of the status of our department as documented by the successes, experiences, and transitions of individuals. Some of our most important accomplishments cannot be captured by statistics, but are best measured by individual histories and events. To keep the focus on individuals, the department is always hoping to hear from our alumni and friends. With this newsletter I would like to intentionally encourage more of a dialogue between us. Think of the newsletter as a vehicle to spur a conversation. What would you like to see in the newsletter that is not there? What do you want more of (or perhaps even less of)? If you have any ideas or thoughts, or just want to say hi, please send me a note at ESSnews@uw.edu. As you read this, our undergraduate GeoClub is working hard at planning the annual holiday party to raise funds for the spring break field experience. For many years this trip has alternated between Hawaii and the desert southwest. This year would typically be to Hawaii; however, GeoClub members decided to travel to northern Arizona in order to keep down costs. Every spring break field trip is funded by a combination of student fund raising, departmental subsidy and students’ personal funds. GeoClub’s leadership decided to take the more affordable trip to help ensure that every student who wants to participate is able to do so. You can also play a role in making the field trip accessible to more students. The department subsidy for GeoClub trips comes from endowments and funds made possible by your donations. If you would like to make a gift to support ESS field experiences or other ESS priorities, you may donate on-line here. Please contact Philanthropy Officer Kristin Buckley for additional information about supporting ESS with a variety of assets or if you would like other assistance with your contribution. Kristin can be reached at buckleyk@uw.edu or (206) 221-0395. Your continuing investment in ESS makes student experiences possible. It is our ability to provide new opportunities that change the lives of individual students that ultimately is the most important measure of our efforts. In September, Professor Robert Winglee was selected by NASA to lead a $10 million initiative to establish a regional education network aimed at increasing the number of underrepresented minority students ready and eager to pursue degrees in science, technology, engineering and math (STEM) when they enter college. The new Northwest Earth and Space Science Pipeline (NESSP) is a collaborative effort by higher education institutions, museums, and K-12 organizations in Washington, Oregon and Montana. The founding members were drawn from organizations active within each state’s Space Grant Consortium. Professor Robert Winglee is director of Washington NASA Space Grant Consortium; Research Associate Professor Erika Harnett is an associate director and will serve as the project’s Deputy PI. The pipeline will introduce students to mathematically rigorous, standards-based activities focused on Earth, space and planetary sciences through various pathways including professional development for teachers, weeklong summer academies for middle and high school students, and opportunities for students and teachers to participate in hands-on summer research projects on college and university campuses. NESSP will also look to expand successful programs such as Washington Aerospace Scholars into Montana and Oregon. There will be a strong focus on reaching underserved, rural communities throughout the Pacific Northwest. NESSP is one of 27 organizations across the country selected for funding. 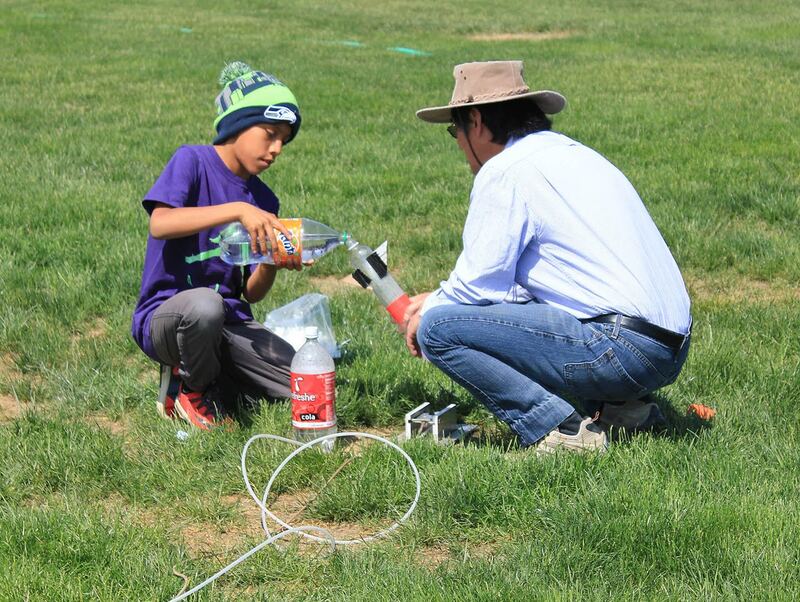 Professor Robert Winglee assisting a student from the Yakama Nation during a recent rocketry showcase at Heritage University in Toppenish, WA. 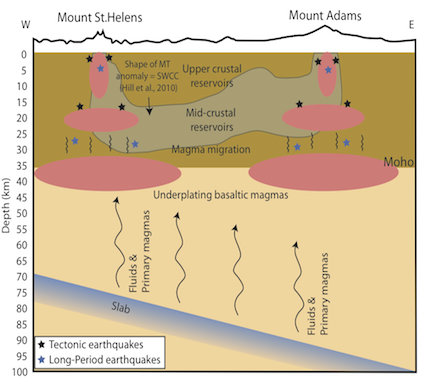 iMUSH (Imaging Magma Under St. Helens) is a four-year collaborative research project involving several institutions, led by the University of Washington and supported by the National Science Foundation, whose objective is to illuminate the overall architecture of the greater Mount St. Helens magmatic system, from slab to surface. 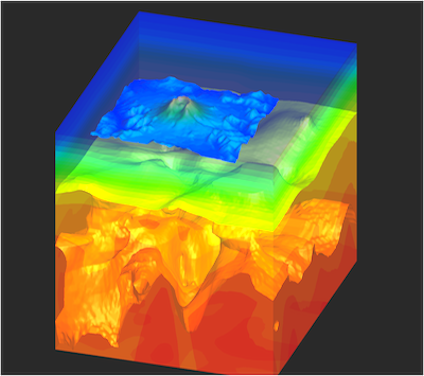 Figures courtesy of iMUSH.org website: (Left) East-west cross-section of hypothetical targets for different experiments, (Right) hypothetical rock layers under Mount St. Helens. The type of figure hoped to be produced in the future. Following two years of permitting efforts, seventy broadband seismometers were installed during spring and summer of 2014 and are recording continuously until late summer 2016. Data recovery was excellent during the first year and the data are beginning to be processed. Graduate student Carl Ulberg has taken a lead role in the deployment, servicing and data download efforts. The active seismic experiment, consisting of over 2500 sensors recording 23 shots, was completed during summer 2014. Preliminary results are being presented at the American Geophysical Union meeting in San Francisco, held December 14-18, 2015. ESS Affiliate Professor Brian Atwater was recently awarded the 2016 Benjamin Franklin Medal in Earth and Environmental Science from the Franklin Institute. He was recognized “for his pioneering studies of coastal sedimentary records which revealed a history of great earthquakes and tsunamis in the Pacific Northwest over millennia and led to a vastly improved understanding of these hazards globally.” The Franklin Institute has been making awards to recognize internationally pre-eminent scientists for nearly 175 years. A geologist with the USGS since 1973, Atwater studies the geologic records of the Pacific Northwest coast to help identify and quantify the threats posed by earthquakes, tsunamis, and other hazards, and using that information to inform engineers, public officials, and residents of the coastal community. He was also part of the team that uncovered evidence of the 1700 Cascadia Earthquake, the most recent magnitude 9 earthquake to hit the Pacific Northwest. At the Geological Society of America meeting held November 1-4, 2015, ESS Professor Jody Bourgeois received the Laurence L. Sloss Award “in recognition of her pioneering work on storm and tsunami deposits, her dedicated educational and scientific leadership, and her generous service to GSA and the profession.” This is the highest honor bestowed by the Sedimentary Geology Division of the GSA. 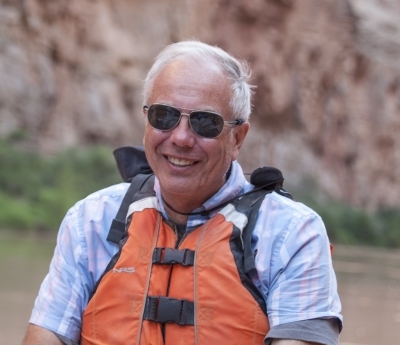 As a UW sedimentary geologist and faculty member for the past 35 years, Bourgeois has nurtured worldwide growth in the study of tsunami sedimentology and its applications, and has been involved in documenting evidence for paleo-mega-tsunamis associated with large asteroid impacts. 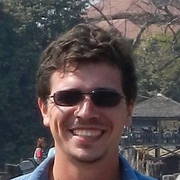 Knut Christianson joined ESS in Autumn 2015 as an Assistant Professor in Glaciology. 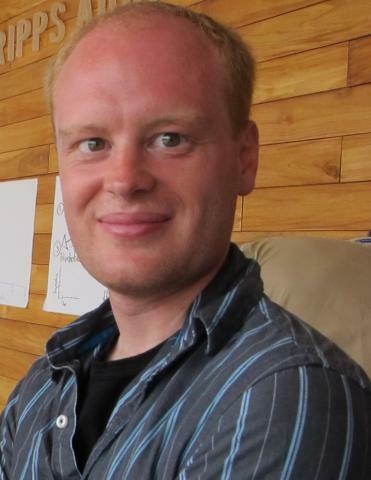 A 2012 Ph.D. graduate in Geosciences at the Pennsylvania State University, he has held positions as Visiting Assistant Professor of Physics and Environmental Studies at St. Olaf College and a postdoctoral research position at the Courant Institute of Mathematical Sciences, New York University. His research focuses on integrating field and remote-sensing data of ice-sheets into ice-sheet models with the goal of improving simulations of both past and future climate change. This focus on the evolution and dynamics of ice sheets complements current research strengths at UW, and fosters collaboration across several units in the College of the Environment as well as with the Applied Physic Lab. 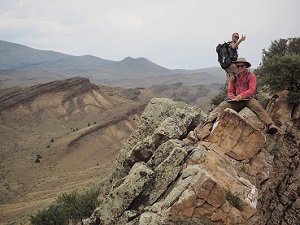 We are pleased to announce that Alexis Licht will be joining the department in Autumn 2016 as an Assistant Professor in Geobiology and Sedimentary Geology. Licht is a 2013 Ph.D. graduate from the University of Poitiers & Nancy, France, concentrating in human paleontology and petrography/geochemistry. He has held postdoc positions at the University of Arizona, the University of Kansas, and most recently at Potsdam University, Germany. In addition to teaching geobiology and sedimentology, Licht will support the field curriculum. Alan Gillespie, Research Professor in ESS and Director of the Remote Sensing Laboratory, retired in September of 2015 after 30 years at the University of Washington, and has been appointed Emeritus Research Professor. Gillespie moved through the ranks from Visiting Scientist to full Professor and finally Research Professor. His research interests have been in glacial geology, geochronology, and landscape evolution, both on Earth and on Mars. Gillespie is the author or co-author of 4 books and over 185 articles, and since 2000 he has been senior editor for the journal Quaternary Research. During his years with the department, he served as Chair or Co-Chair for 16 graduate students and served on the thesis committees for an additional 33 graduate students. Alan will remain active in the department, publishing research and completing his supervision of graduate students. 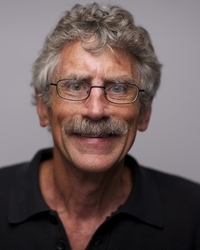 Robert Odom, Associate Research Professor in ESS and Senior Principle Physicist and Assistant Director of Education for the Applied Physics Laboratory, retired in September of 2015 after 25 years at the UW. He received his Ph.D. in Geophysics from UW in 1980, and spent several years in industry before returning to the UW in 1990. His research focus is in acoustic and elastic wave propagation. He is principal investigator on projects to model propagation in range-dependent shallow water with elastic bottom effects and to develop improvements to the Navy bottom backscatter/bottom loss models and databases at mid-frequencies. Odom will remain active in ESS as an Emeritus Associate Research Professor, continuing his supervision of graduate students. 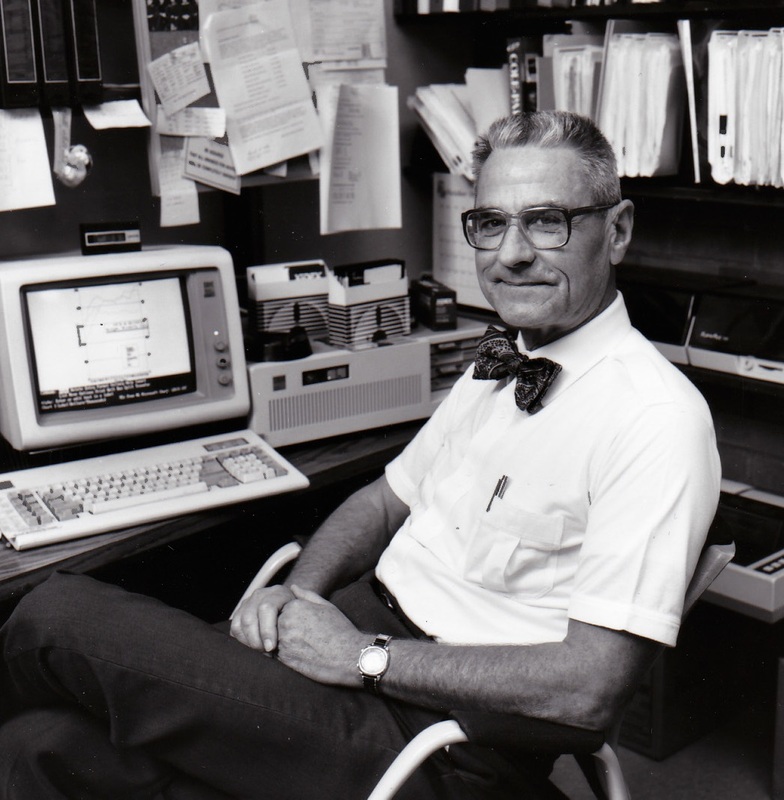 It is with heavy hearts that we announce the passing of Emeritus Professor Joe Creager on November 14, 2015. Graduating with a Ph.D. in 1958 from Texas A&M University and serving as one of the first oceanographers in the U.S. Naval Hydrographic office, Creager was recruited to the University of Washington to establish the Geological Oceanography research program in the Department of Oceanography and develop the curriculum to support it. He found great success and was appointed Associate Dean of the College of Arts & Sciences in 1965, but had to defer the appointment while he spent a year in Washington D.C. as Program Manager for Oceanography at the National Science Foundation. It was here that he learned of a new funding opportunity, the NSF University Science Development Grant. The purpose of the grant was to aid universities in the development of scientific fields in which they were not strongly represented. Creager saw an opportunity for the University of Washington to benefit, and worked behind the scenes to help form the new interdisciplinary Geophysics Group and Geophysics Program, and as divisional dean oversaw the program’s development. When Oceanography was moved into the newly formed College of Ocean and Fishery Sciences in 1981, Creager elected to remain in Arts & Sciences, and his primarily affiliation after this point was Geological Sciences. 20 years later, Geophysics and Geological Sciences would merge to form the new Department of Earth and Space Sciences. In recognition of his research in the Northeast Pacific Ocean, Creager was recognized by the naming of Creager Ridge near the mouth of the Columbia River. He remained actively involved with the department until his retirement from the UW in 1991. His son, Dr. Kenneth Creager, is a Professor in Earth & Space Sciences at UW. Congratulations to the class of 2015! We are so proud of you and wish you all the best on your new journeys and next steps! Once again, this year a record number of "Rock Stars" have completed their degrees with Earth and Space Sciences, a graduating class of 78, including 6 Ph.D's, 19 Master's, and 78 undergraduates. We also had a record number of graduates participate in our June 13th celebration--our largest graduation celebration yet! In fact, we had to move our ceremony out of Bagley Hall into the HUB Lyceum, which seats 400, to accommodate all our graduates and their guests. In addition to our fantastic graduates, our program featured two graduating student speakers: Kelly Hillbun, graduating from our Ph.D. program, and Nikolas Midttun, graduating from our Bachelor of Science program. Our program also featured outgoing chair and Professor Robert Winglee, College of the Environment Dean Lisa Graumlich, and our guest speaker, Dr. Aaron Wech--ESS Class of 2010. Dr. Wech is currently a Mendenhall Postdoctoral Fellow with the US Geological Survey. Summer 2015 was another great season of field camp for Earth and Space Science majors. As in the past few years, we had two groups of students, with 25 enrolled in the 400a course (traditional course - 6 weeks in the field) and 18 enrolled in the 400b course (3 weeks of GIS and 3 weeks in the field). University of Montana Western in Dillon, Montana continues to serve as our convenient home base, with easy access to outstanding geology and world-class rock exposures. 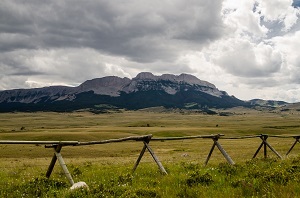 Current field projects cover a wide spectrum of geology and timescales including geologic mapping and the construction of stratigraphic sections in the Late Cretaceous Montana fold-thrust belt; mapping aimed at the reconstruction of early Tertiary geologic history and paleo-topography resulting from the Laramide Orogeny; geomorphic mapping of Pleistocene glacial landforms; and surveying river channels that flow over an active normal fault as part of a neotectonics/fluvial geomorphology project designed to teach students how the landscape responds to active faulting. The 400b students work on a subset of these field projects after spending one week preparing for the field in the lab at UW utilizing remotely sensed imagery. Upon their return to Seattle, students make their mapping products digital using geographic information systems (GIS) software. Fieldwork for both classes is rigorous and presents students with both physical and mental challenges. Although the days are long, the sun is hot, and the projects are demanding, students continue to report back that the field course marks a pinnacle of achievement in their undergraduate careers and that it’s fun! Working through the capstone field course offers a special opportunity for ESS students to see firsthand what they have been learning in books and lectures about geologic history and earth processes. This type of experiential learning results in an astounding amount of personal and professional growth over the short span of 6 weeks. We greatly appreciate our generous donors who help to make the field camp experience possible for our students. To make a gift, please visit our website. At the GSA meeting held in November in Baltimore, UW-ESS graduate student Sarah Schanz was awarded the Marie Morisawa Award. The award was established in 2006 to honor Dr. Marie Morisawa, one of the first women to maintain a high profile in Quaternary geology and geomorphology throughout her career. The purpose of the award is to support promising female M.S. and Ph.D. graduate students pursuing a career in geomorphology. Dr. Morisawa entered the discipline in 1960, a period when relatively few women engaged in research and university-level science teaching. She went on to help establish the annual Binghamton Geomorphology Symposia and the journal Geomorphology, both of which are thriving today. She was the first female chair of the QG&G Division, and was well known for mentoring younger scientists throughout her career. Sarah Schanz is a fourth-year geomorphology graduate student in the Earth & Space Sciences Department, working with David Montgomery and Alison Duvall. Her research focuses on the controls and triggers of strath terrace formation, including lithology, woody debris, and sediment retention. Also at GSA this November, Sean LaHusen received the Parke D. Snavely, Jr. Cascade Research Award, which provides support for field-oriented graduate student research contributing to the understanding of geologic processes and history of the Pacific Northwest convergent margin, or evaluation of its hazard or resource potential. Snavely had a long and distinguished career with the USGS, spanning nearly 60 years. His geologic mapping of the Cenozoic rocks of the Pacific Northwest coast ranges, begun in 1946 and continuing into the 1990s, is a classic work providing both onshore and offshore basic geologic and tectonic framework. Sean LaHusen’s areas of interest include geomorphology, landslide hazards, and landscape evolution. Working with Alison Duvall, he’s interested in how dynamic Earth surface processes and tectonics shape landscapes and affect societies worldwide. 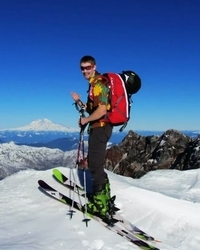 His current research pertains to landslides and fluvial geomorphology in Washington State. 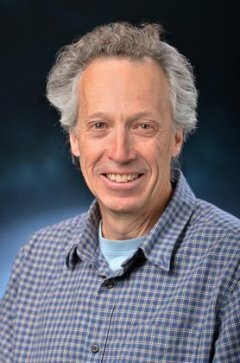 Robert S. Anderson (UW Geological Sciences Ph.D., 1986, under the supervision of Bernard Hallet) will receive the 2015 G. K. Gilbert Award at the 2015 American Geophysical Union Fall Meeting to be held December 14-18 in San Francisco. The Gilbert Award recognizes "a scientist who has either made a single significant advance or sustained significant contributions to the field of Earth and planetary surface processes, and who has in addition promoted an environment of unselfish cooperation in research and the inclusion of young scientists into the field." Anderson is a professor in the Department of Geological Sciences at the University of Colorado – Boulder. 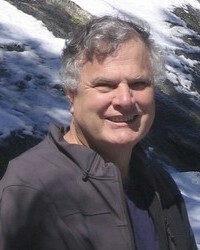 In 2014 he was also awarded the Hazel Barnes Prize, the most distinguished award presented to faculty of the University of Colorado who best exemplify "the enriching interrelationship between teaching and research, and whose work has had a significant impact on students, faculty, colleagues and the university." ESS Professor David Montgomery released a new book November 16 exploring humanity’s complicated relationship with the microbial world. 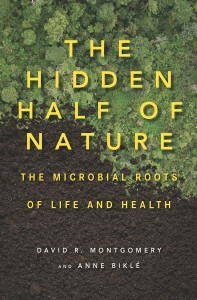 Written with his wife, Anne Biklé, a biology and environmental planner, The Hidden Half of Nature: The Microbial Roots of Life and Health (W.W. Norton & Co) shares the discoveries the two made regarding the still unfolding revolution in microbiome science, and how it changed not only their view of nature, but also themselves. When Montgomery and Biklé set out to restore their backyard from a barren yard to a thriving garden, their dreams were threatened by dead soil. Introducing a steady diet of organic matter to the soil, the yard was soon transformed. Beneficial microbes rebuilt the soil’s fertility. After Biklé is diagnosed with cancer, the pair begin to explore the similarities between the microbes in their soil and those in our gut, discovering how beneficial microbes can rebuilt gut health just as they saw in their garden, while an unbalanced microbiome can wreak havoc. The Hidden Half of Nature reveals how microbiomes can be used to transform both agriculture and medicine. 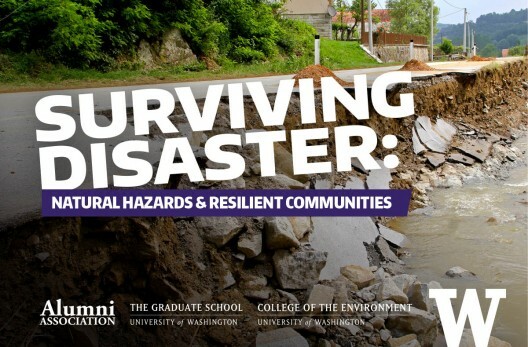 The UW College of the Environment, the UW Graduate School, and the UW Alumni Association sponsored a public lecture series this fall entitled Surviving Disaster: Natural Hazards & Resilient Communities, exploring the latest developments in how both social and natural sciences are helping us prepare for, respond to, and ultimately survive environmental disasters. Series speakers included ESS professors David Montgomery, speaking on Disasters fast and slow: From catastrophic landslides to how we treat our soil, and John Vidale, speaking on A tale of three Seattle temblors: One big, one deep and one direct hit. Both lectures were sold out far in advance.